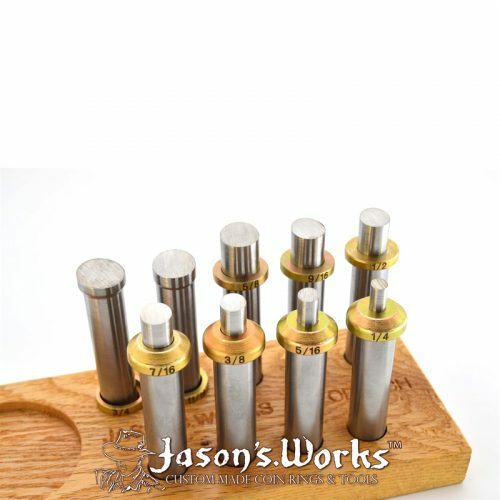 *The full set is recommended. This cone is intended to replace a damaged or lost cone from the set. 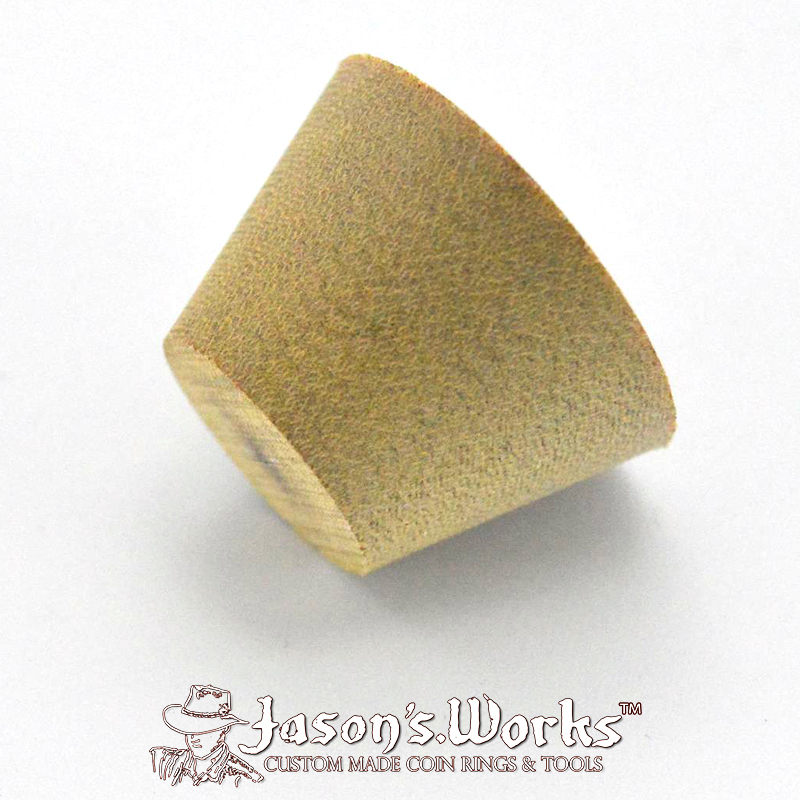 This is the stabilizer folding cone used to fold coins when using a ring stretcher/reducer machine with reduction dies. 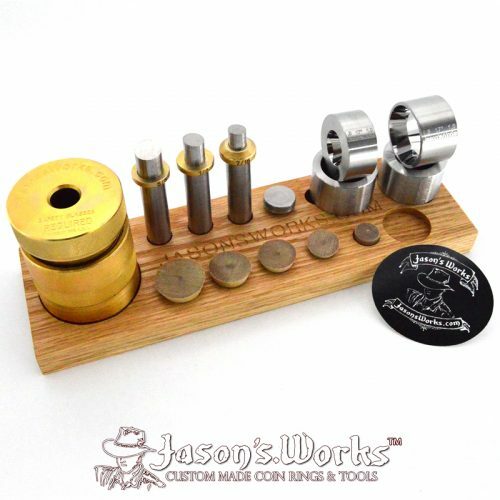 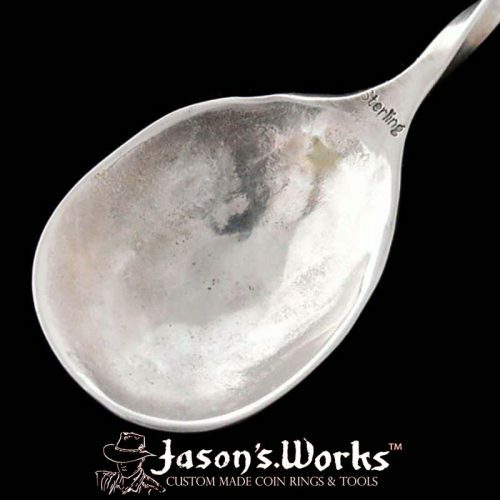 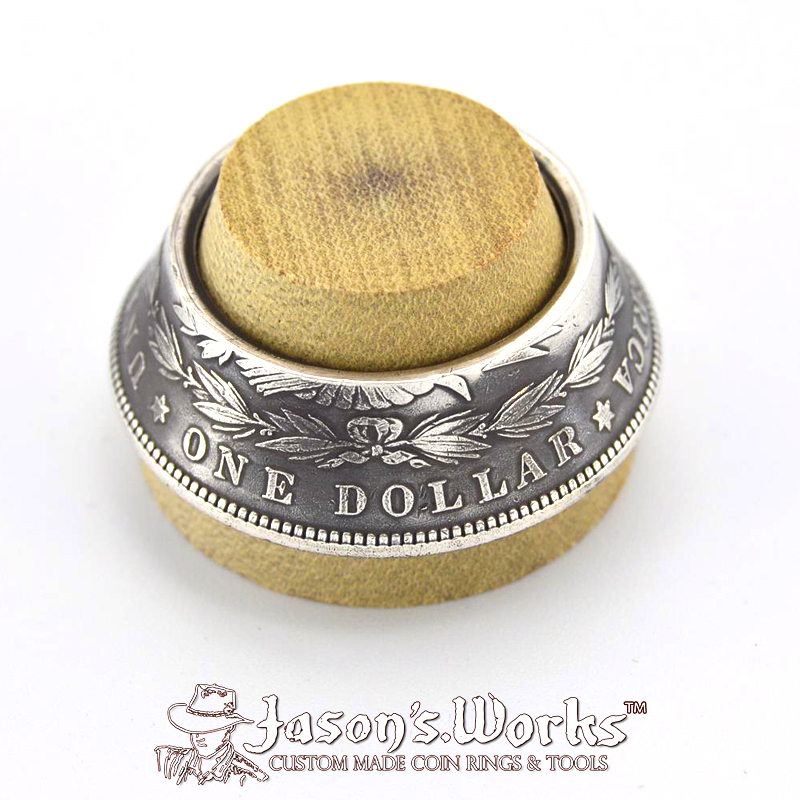 Use this cone to assist in folding half dollar, dollar, and American Silver Eagle sized coins. 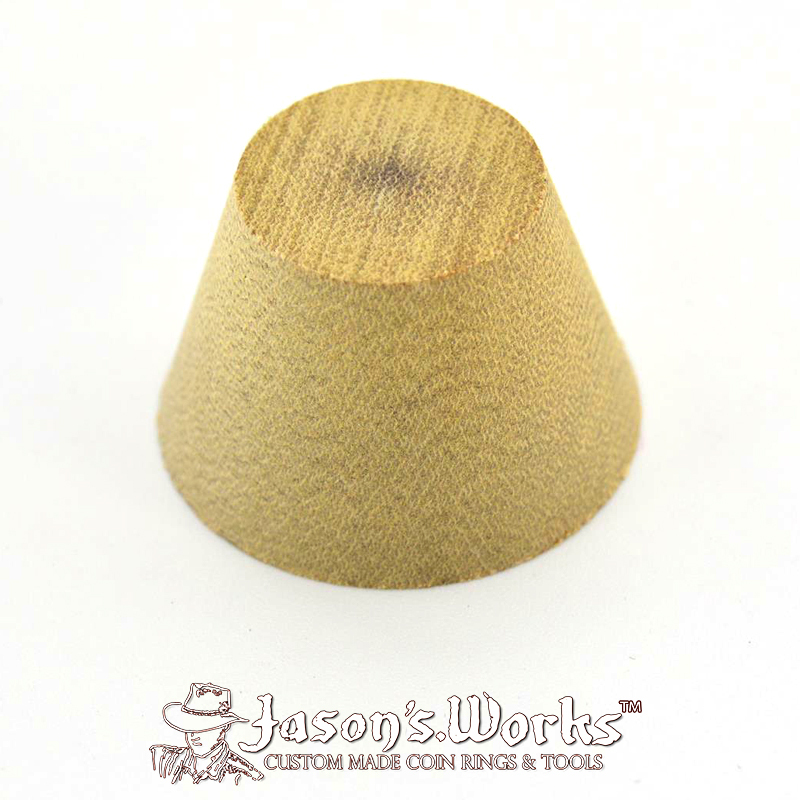 This is the first cone to use when beginning to fold a half dollar sized coin. 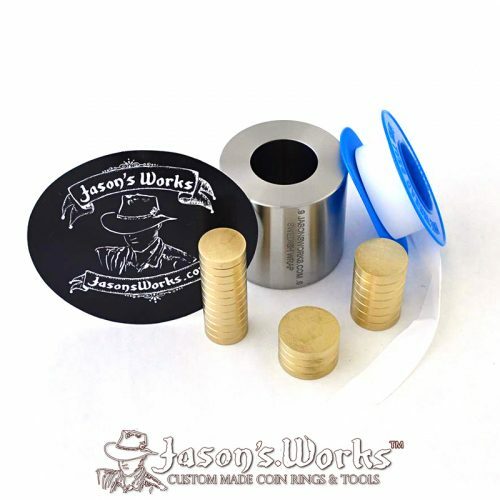 These stabilizing cones are designed to replace the Delrin Folding Balls when using a ring stretcher/reducer machine to fold your coins. 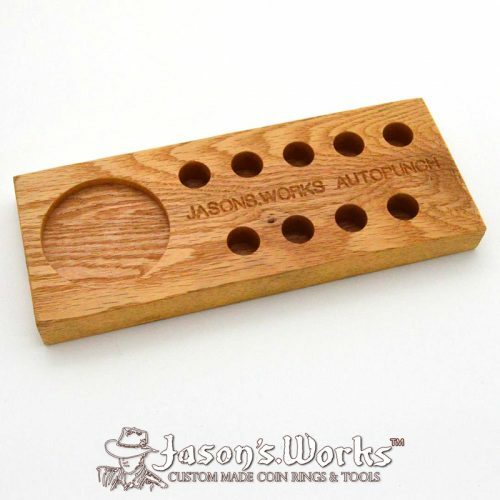 They use the same principal as the balls with added benefits. 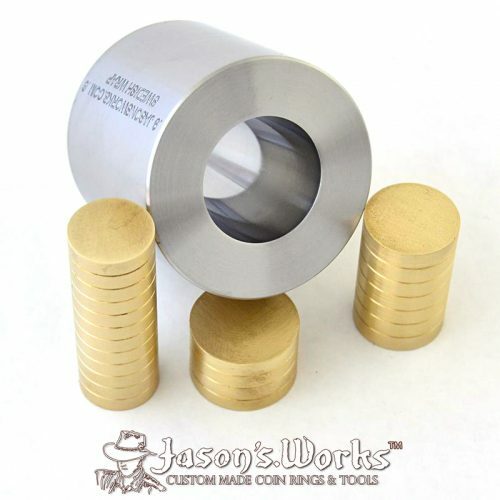 These cones will stabilize the coin in reduction dies, therefore not requiring a special stabilizing die for each type of coin. 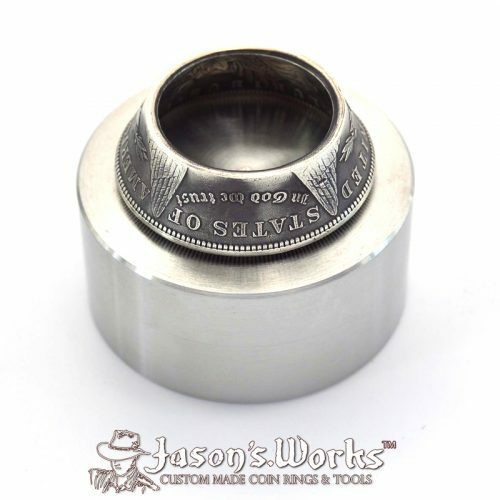 Just set the coin level in the universal reduction die, insert your folding cone and press the coin down through the hole. 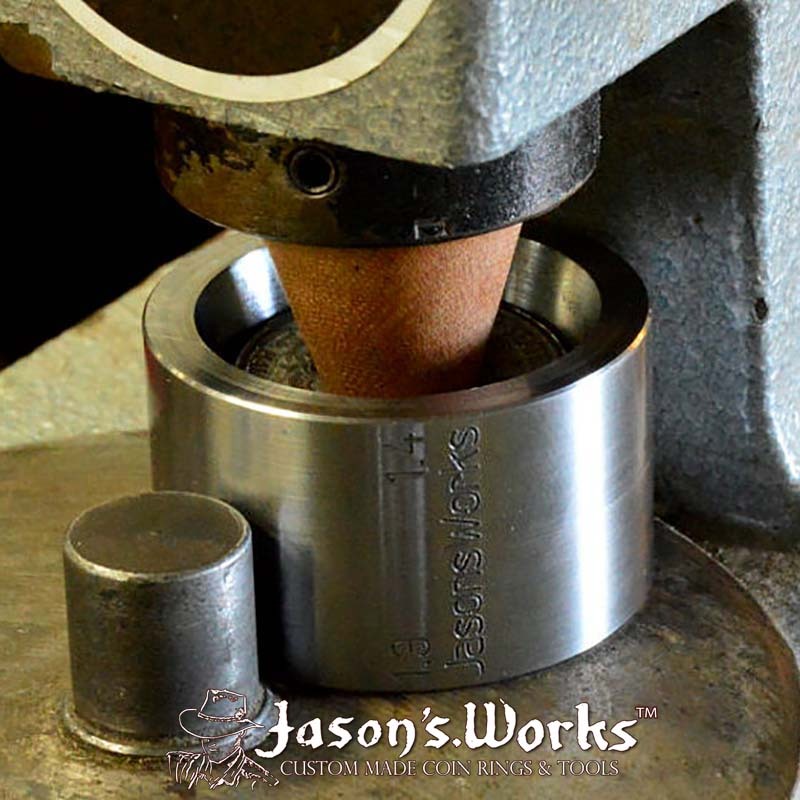 The process is to insert a cone that both fits in the hole of the coin and under the ram of the ring stretcher/reducer machine. 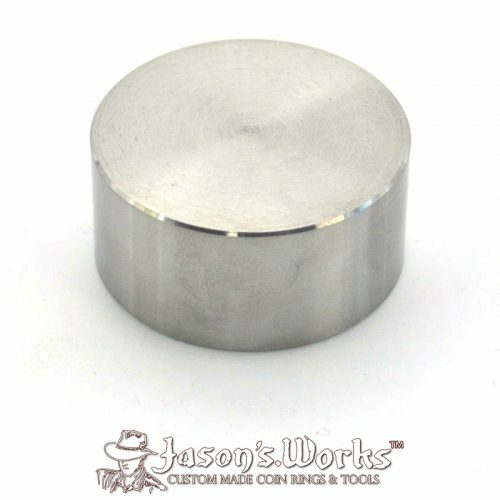 If the cone is too tall, simply go for a smaller cone and/or insert the coin into a larger reduction die therefore dropping the coin lower from the ram. 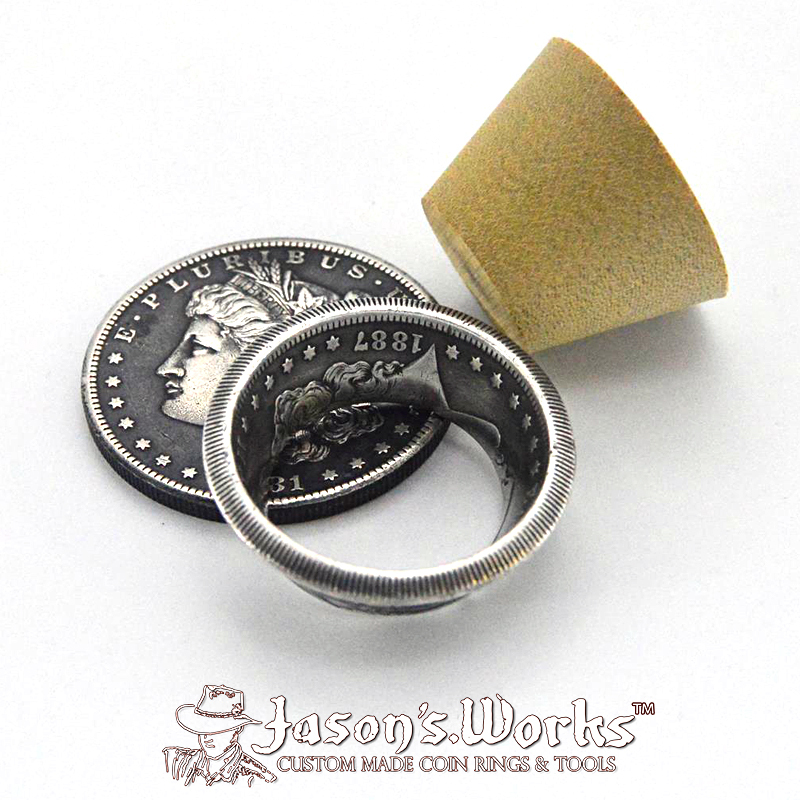 As the coin folds, use smaller dies and larger cones (and a spacer if needed) to finish the folding process. 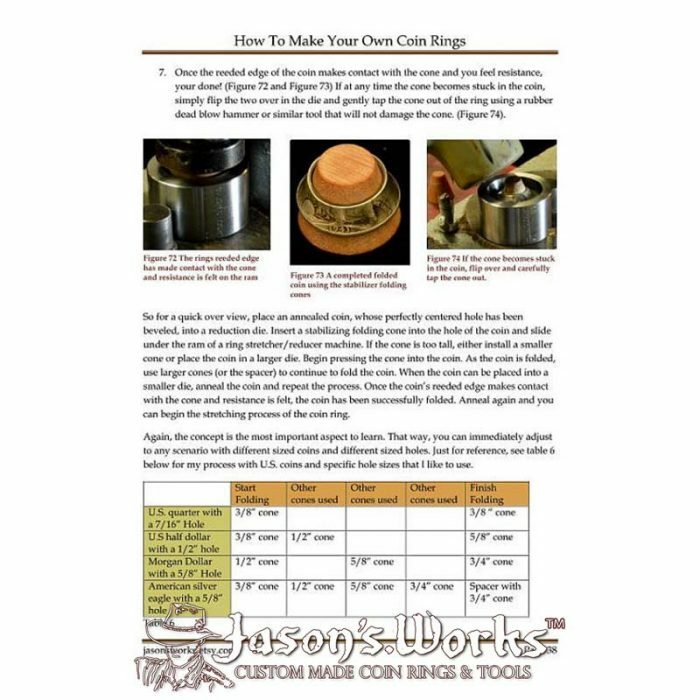 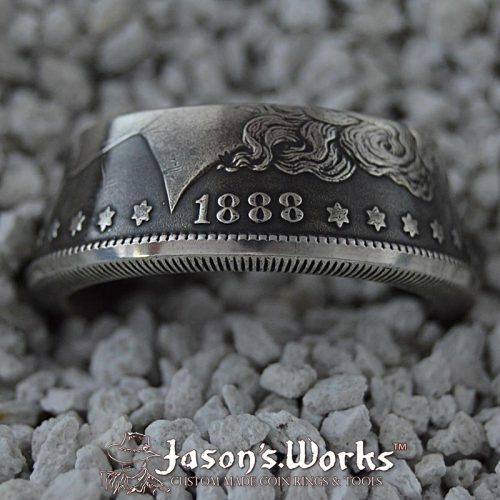 Be sure to anneal the coin as needed during the folding process. *NOTE: To prolong the life of the cone, be sure to bevel and soften the edges of the hole in the coin just as you would for the delrin balls. 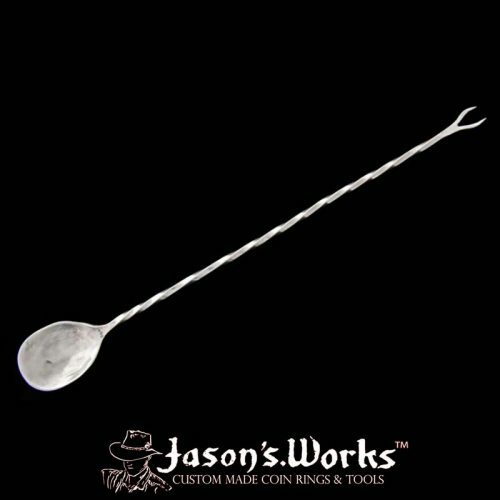 With heavy use, this item can be considered to be a consumable.